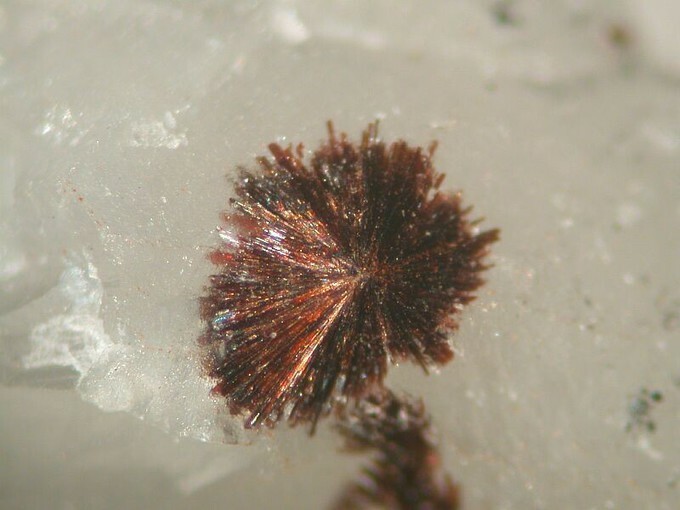 Macfallite: Mineral information, data and localities. Mn may be replaced by minor Al. Named in 1979 by Paul (Paulus) Brian Moore, Jun Ito, and Ian M. Steele in honor of Russell Patterson MacFall [1 September 1903 Indianapolis, Indiana, USA - 6 September 1983 Coronado, California, USA] editor for Chicago Tribune newspaper and, earlier, for other newspapers. Russ was an amateur mineralogist interested in systematic mineralogy and an author of six books on popular mineralogy, paleontology, and geology. Russ was also a specialist in the minerals of the region where macfallite was first discovered. 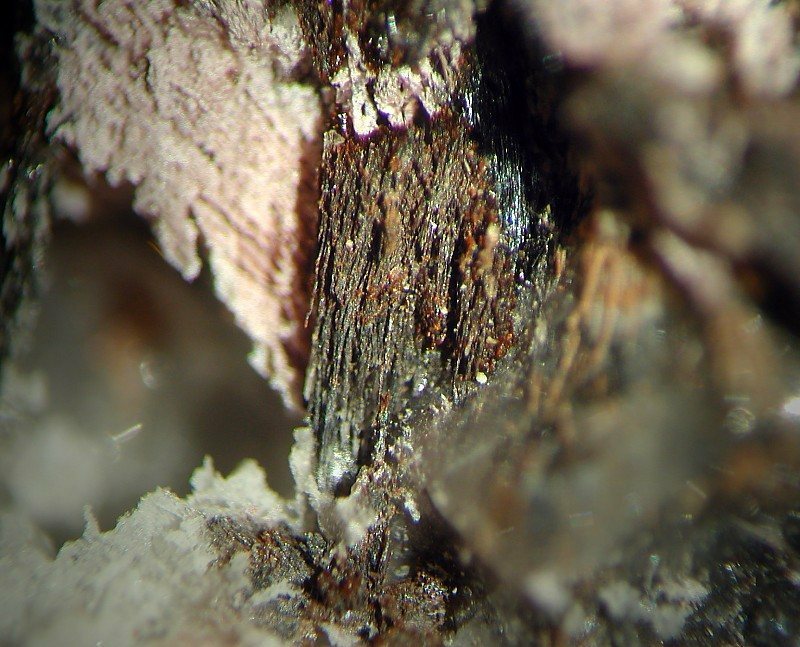 This page provides mineralogical data about Macfallite. Orientite 6 photos of Macfallite associated with Orientite on mindat.org. Calcite 1 photo of Macfallite associated with Calcite on mindat.org. Ranciéite 1 photo of Macfallite associated with Ranciéite on mindat.org. Braunite 1 photo of Macfallite associated with Braunite on mindat.org. Moore, P.B., Ito, J., and Steele, I.M. 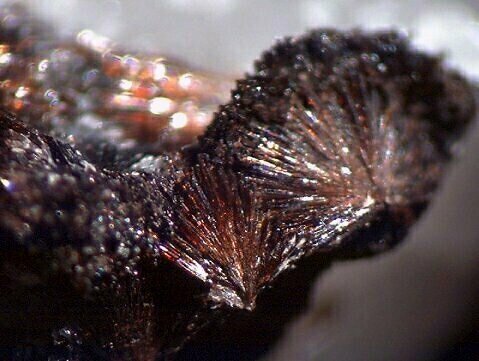 (1979) Macfallite and orientite: calcium manganese (III) silicates from upper Michigan. Mineralogical Magazine: 43: 325-331. American Mineralogist (1980): 65: 406. Moore, P.B., J. Shen, and T. Araki (1985) Crystal chemistry of the 2∞[M 3+ 2ф2(TO4)2] sheet: structural principles and crystal structures of ruizite, macfallite and orientite. American Mineralogist (1985): 70: 171-181. Neues Jahrbuch für Mineralogie, Monatshefte (1989): 455. Nagashima, Mariko; Rahmoun, Nouri-Said; Alekseev, Evgeny V.; Geiger, Charles A.; Armbruster, Thomas; Akasaka, Masahide (2008): Crystal chemistry of macfallite: relationships to sursassite and pumpellyite. American Mineralogist 93, 1851-1857. - Ciriotti, M.E., Camara, F., Bittarello, E., Ambrino, P. (2013). Macfallite: secondo ritrovamento italiano a Prabornaz. Micro, 11, 50-59; Frank K. Mazdab collection (see https://www.rockptx.com/fkm-151-to-fkm-175/#FKM-171 for analytical data). Miyajima, N., Osawa, S., Miura, H., Kikuchi, T. and Hiriya, Yu (1994) Proceedings of the 9th Quadrennial International Association on the Genesis of Ore Deposits (IAGOD) Symposium (Beijing), 603-616.